In July and August, Keren will work with 4 actors, Lisa Marie Becker, Andrew Kerton, Susie Meyer, and Fabian Stumm, on the new play ''Anke is Gone''. We have the fantastic opportunity to rehearse in Schloss Heiligenberg at the Bodensee in Germany. On the 15th of September the play will premiere in Hebbel am Ufer (HAU2) in Berlin. From the 1st of August till the 1st of September Keren and the actors will rehearse at Schloss Heiligenberg, close to Lake Constance. 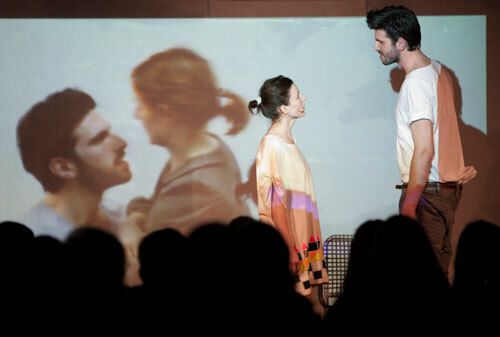 Show Real Drama will be performed during the exhibition Based in Berlin.